Feng .com is the first and No 1 interactive media for the Apple users in China which includes immediate news of games , Science & Technology, text reports, limit free information,game publishing business.Feng.com has witnessed all the growth of the IOS ecosystem. The users numeber of Feng.com has beyond 50,000,000. 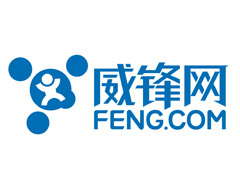 Feng.com is the leader company of the game and Mobile accessories area.As for now the main business of Feng.com is the ads and mobile games.Nicholas is the founder of Feng.com.